Paying tribute to Shaq's hometown of Newark, New Jersey, Reebok Classics is set to release this "Brick City" colorway of the Shaq Attaq. The "Brick City" Shaq Attaq sports a grey suede base, black leather overlays and a red patent Vector. 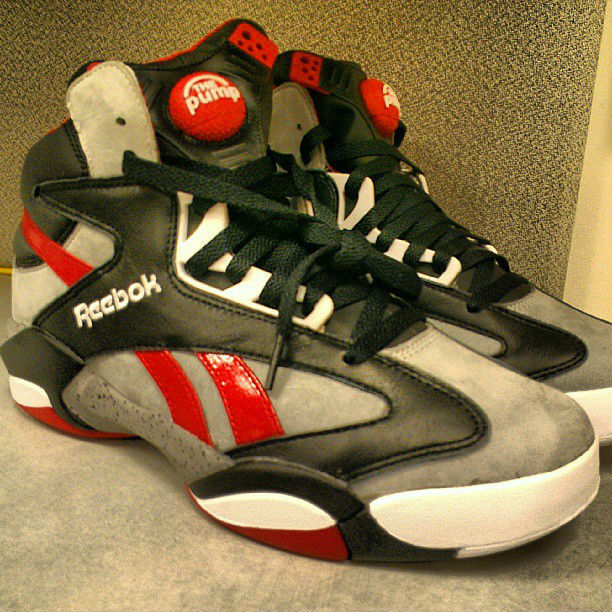 Red also works the Pump, while cement print makes its Shaq sig debut along the midsole. Black, red and white come together to finish off the outsole below. Look for the "Brick City" Shaq Attaq to hit retail around late-November for $160. Official date coming soon here at Sole Collector.